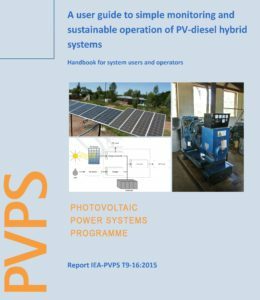 Task 9 is a working group under the Photovoltaic Power Systems Programme PVPS of the International Energy Agency IEA and as such it focuses on the “Deployment of PV Technologies for Regional Development”. REPIC (Renewable Energy and Energy Efficiency Promotion in International Cooperation) mandated Skat Consulting with its partner as Swiss Representative and as “Operating Agent” of Task 9. Task 9 is adapting and transferring PV-related knowledge and information for emerging and developing countries. Management of all activities of the Task 9 working group including mainly: the representation of Switzerland in the IEA PVPS Task 9 expert meetings, participation in IEA PVPS Executive Committee Meetings, developing the future strategic positioning of Task 9, enhancing partnerships with international organisations and improving visibility of Task 9 and its work related to deployment of PV technology in emerging countries. Increasing the quality of projects and programmes which include PV by producing relevant publications and by disseminating contents, facilitation of access to the growing markets in developing countries, generation of promising new projects. Services provided by Skat: overall management and coordination of the working group, development of a strategy for future activities, strengthening and extending the network with relevant bi- and organisations. Activities: organisation of expert meetings and documentation, strategy development, support of members’ activities (e.g. PV-diesel mini grids, 100% RE on small islands, PV development as prosumers, grid-connected PV-battery combinations), communication measures and networking to improve visibility of Task 9 in the global environment (internationally & nationally), exchange of experience with Swiss stakeholders. Results: strengthened position of the working group in the international context and within PVPS, improved outreach and impact, contribution to increased quality of PV projects and programs in developing countries.